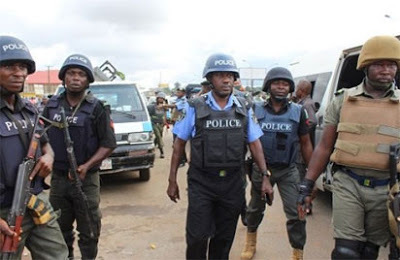 The Ogun State Police Command has reportedly uncovered a kidnappers’ den inside a thick forest in Fidiwo village in Remo-North Local Government, along Lagos/Ibadan expressway, killing six of the suspected kidnappers. The State Police Public Relations Officer, Abimbola Oyeyemi in a statement, said the suspects had been on the wanted list of the Command for quite some time as a result of their crime activities along the express road which he said is one of the busiest roads in the country. The Commissioner of Police, Ahmed Iliyasu, during the parade explained that the suspects had earlier kidnapped two medical doctors of University College Hospital, Ibadan, who were heading to Lagos for a programme, but they were rescued by operatives of FSARS. He said his men were able to track down the kidnappers as a result of intelligence gathering, commitment and professionalism. He said: “This audacity of the suspects infuriated me and then we ordered the officer in-charge of FSARS, DSP Uba Adam, to go after the hoodlums". The FSARS operatives embarked on technical intelligence investigation and the suspects were tracked down to their hideout in a thick forest at Fidiwo area along Lagos/Ibadan expressway. “The hideout was stormed, consequent upon which the suspects engaged the men of FSARS in gun duel which lasted about an hour". At the end of the encounter, six of the suspects were gunned down while two Policemen also sustained injuries. The injured Policemen have been taken to the Hospital for medical attention. 0 Response to " Ogun State Police Uncover Kidnappers’ Den, 2 Doctors Rescued "